I’m a little annoyed. 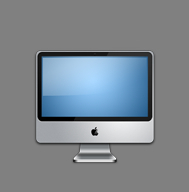 My blog is hosted on Apple’s on-line service which was called .Mac (dot Mac) until July 9th when the revamped version was launched under the name MobileMe. The transition to MobileMe for .Mac subscribers was supposed to be seamless, and for the most part it was, at least for me. It took a while before I could log on, and at first I couldn’t get my .Mac, now MobileMe e-mail to load. But that was most likely due to heavy demand on the servers, what with all the people who had just purchased their new G3 iPhones trying to get everything set up and synched. And it took several hours before my Mac Address Book showed up on MobileMe. But it’s there now in all its glory and accessible to me from any computer with an Internet connection. My picture gallery is still alive and kicking, as are my Queen Anne’s Lace photo page and this blog. So why am I writing about frustration, aggravation, and irritation? Because I’m having trouble getting my blog to publish properly. It goes through all the motions, but when the process is almost finished, instead of getting the “Announce or Visit Site” window, I get a message that there was an error in publishing my blog. Then, when I open my browser and go to my blog, the latest entry is there, but parts of the blog template are missing: the top border, the fancy line that separates the blog entry on the summary page (although it is present on the individual pages), and the pointing finger in front of the “read more” link on the summary page. When I view the blog using Safari, Apple’s web browser, these missing items are replaced with the dreaded blue question-mark box, the Mac equivalent of Windows’ dreaded red X. When I view the blog using Camino, Mozilla’s web browser for Mac, or Firefox, Mozilla’s popular web browser for both PCs and Macs, the items are missing but there are no blue boxes. Moreover, the blog entry still shows on my iWeb program as being unpublished.